Close your eyes. It is warm and sunny outside. Where do you imagine you would love to stay? On the beach! 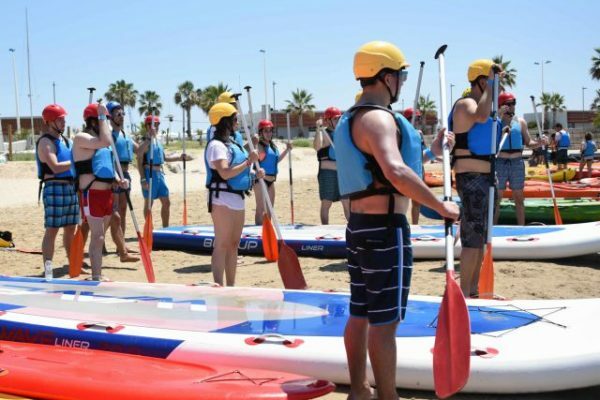 Digital Origin was celebrating its summer party in Barcelona and wanted to organize a special team building experience for their 120 employees. 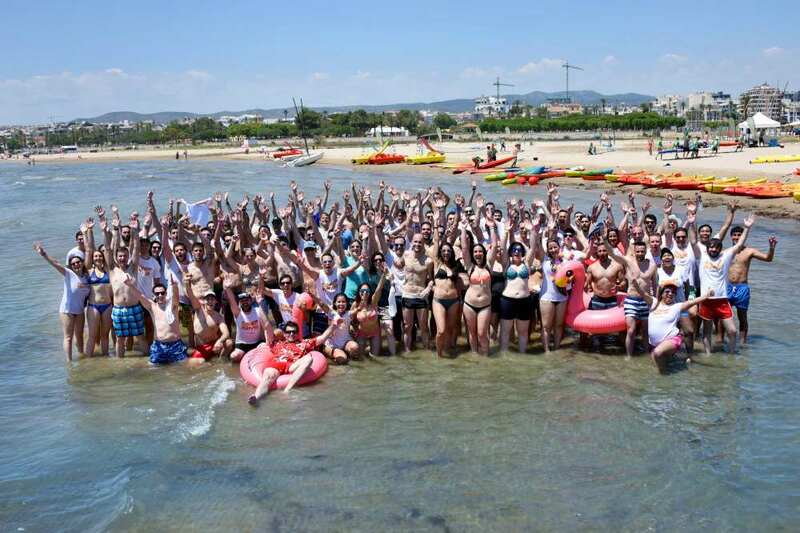 In order to match the concept of the event and taking advantage of the nice weather, we proposed organizing a bunch of beach activities on one of the most beautiful beaches near Barcelona: the pretty Vilanova! 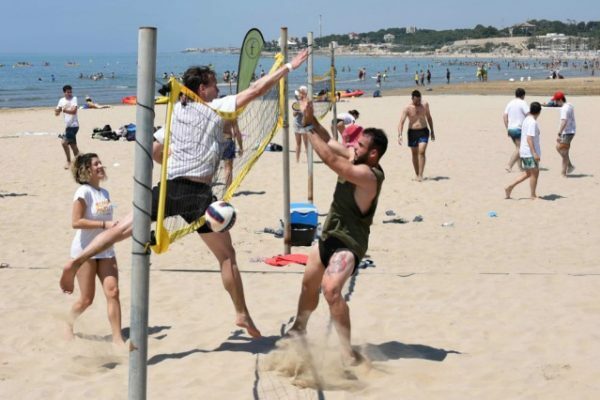 Upon arrival, participants could leave their belongings in private rooms and go directly to the beach area, where the general briefing was done by the Amfivia team. 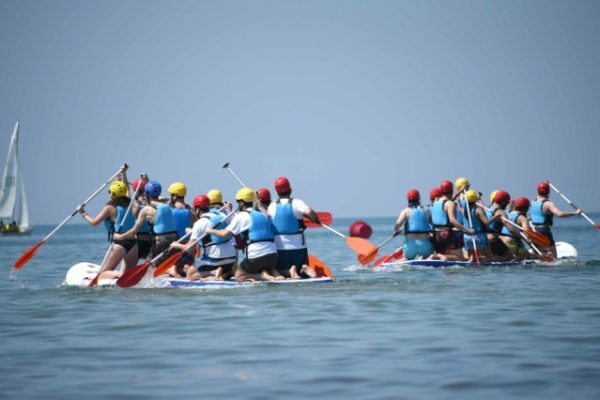 Divided into 12 teams, the participants undertook 6 different activities competing each time against each other. 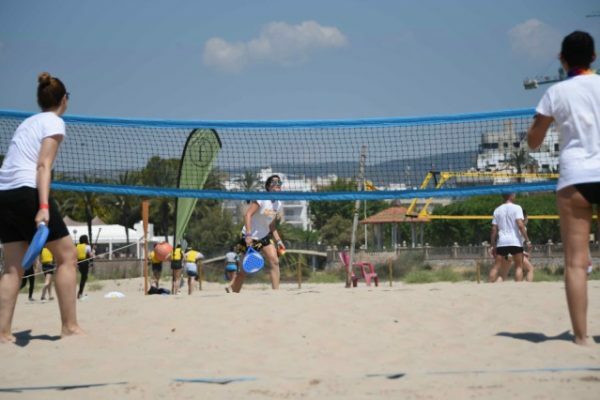 3 beach based games and 3 aquatic challenges were on the menu of the day: beach tennis, football and volley on the sand, and water racing, in relay and pedalos. The scoring was appointed by our friendly monitors, that were giving technical instructions and animating the differents teams to give their best. Sea, Sun and a lots of fun! The summer vibes music by DJ Nick harmonized the happy athmosphere. The client was delighted with the organisation, and we were delighted of working with such a great client. 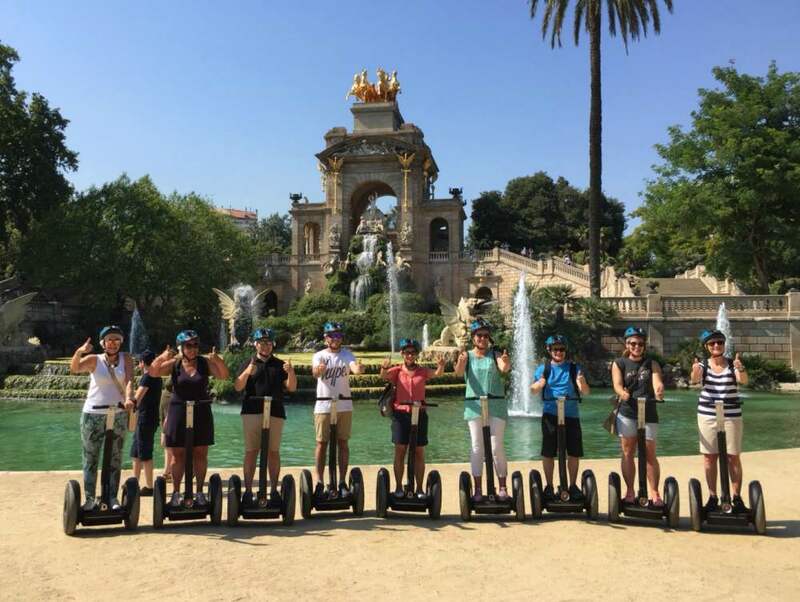 We hope to meet you soon under the sun of Barcelona! 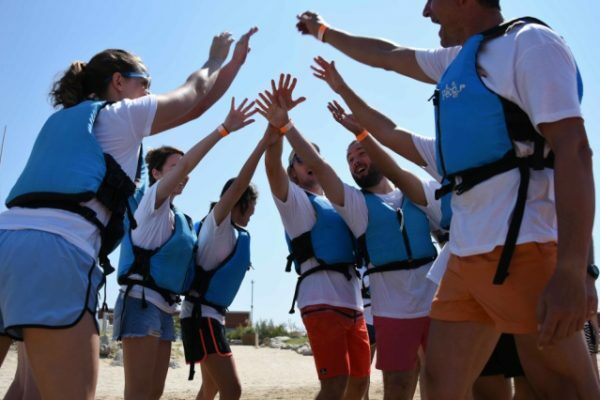 Teambuilding with good food and delicious wine? Yes!